Shaving Cream Poisoning is the accidental or intentional intake of the compound. What is Shaving Cream Poisoning? 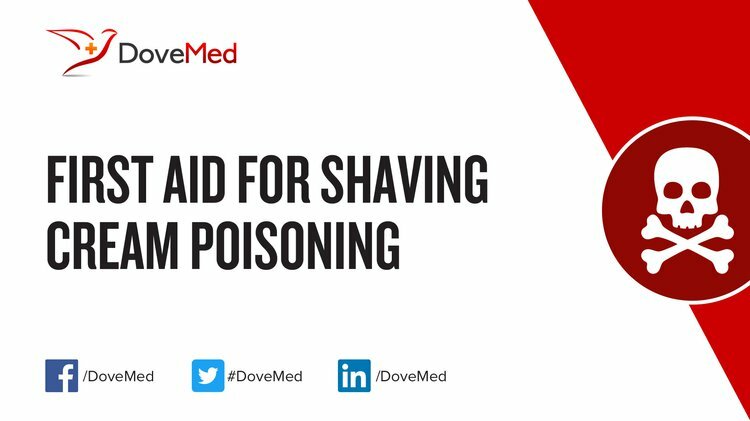 Shaving Cream Poisoning may be also referred to as Shaving Lotion Poisoning and Shaving Cream Toxicity. What are the Causes of Shaving Cream Poisoning? What are the Signs and Symptoms of Shaving Cream Poisoning? How is First Aid administered for Shaving Cream Poisoning? Who should administer First Aid for Shaving Cream Poisoning? First aid for Shaving Cream Poisoning is administered by healthcare professionals. What is the Prognosis of Shaving Cream Poisoning? How can Shaving Cream Poisoning be Prevented? Pinto, C., Barone, C. A., Girolomoni, G., Russi, E. G., Merlano, M. C., Ferrari, D., & Maiello, E. (2011). Management of skin toxicity associated with cetuximab treatment in combination with chemotherapy or radiotherapy. The oncologist, 16(2), 228-238. Nasir, A. (2008). Dermatologic toxicity of nanoengineered materials. Archives of dermatology, 144(2), 253-254. Goldberg, E. (2015). Pick Your Poison. Chowdhury, F. R., & Ruhan, A. M. (2016). Household Poisoning. In Clinical Pathways in Emergency Medicine (pp. 503-512). Springer India. Jadhav, V., Dhande, S., & Kadam, V. (2016). COSMETICS SIDE EFFECTS. Fund, U. P. E., Gowda, D., Jensen, C., & Fund, U. P. E. (2016). Getting Personal with Chemicals: A Consumer Guide to 10 Popular Personal Care Products Containing Toxic Chemicals. Manayi, A., & Saeidnia, S. (2014). Cosmetics and Personal Care Products.